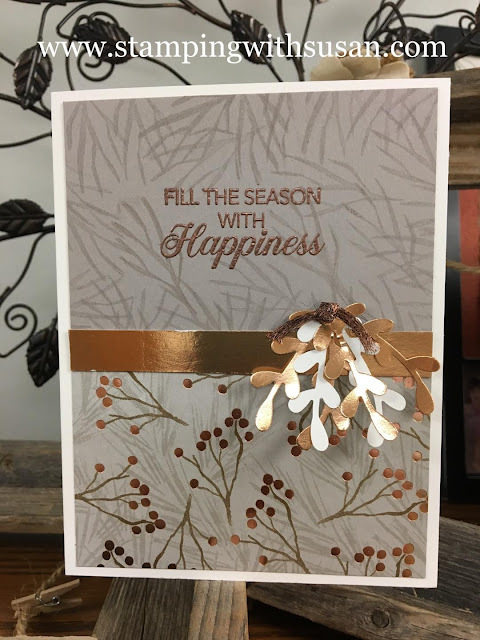 I really like this card layout. One of my team members, Nancy Brown, gave me a card with this sketch. 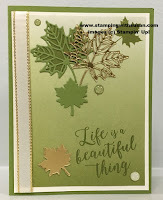 I changed up the colors, stamp set and designer series paper and came up with this card. 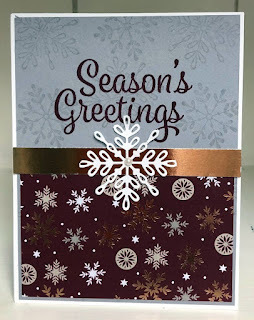 Since the holiday season really starts with Thanksgiving, I want to make some cards that can be used for the entire season, including Christmas, Hanukkah or Kwanzaa. I think this card works. What do you think?